Die Hard Pinball League presents the second annual YEGPIN – 2018 Edmonton Pinball and Arcade Expo which will be held the weekend of May 4th-6th, 2018. The show is centrally located at the Edmonton Aviation Museum in Edmonton at 11410 Kingsway NW. This is an ALL AGES event! This will be the third annual pinball and arcade expo in the Edmonton area. Are you a pinball buff, a collector or just have fun playing some pinball? Want to relive your younger days with some of the classic arcade games from your childhood, or introduce your family to the world of pinball and classic arcade games? Are you interested in seeing some of the latest game technology and what the resurgence in pinball and arcade is all about? Or maybe you’re looking to buy a pin or arcade game for your home or office? If yes is the answer to any of these questions then come join us at YEGPIN!!!!!! We endeavor to fill the historic Alberta Aviation Museum hangar with more than 100 pinball machines, classic video games, and other game room goodies set up on free play for everyone to enjoy the entire weekend. 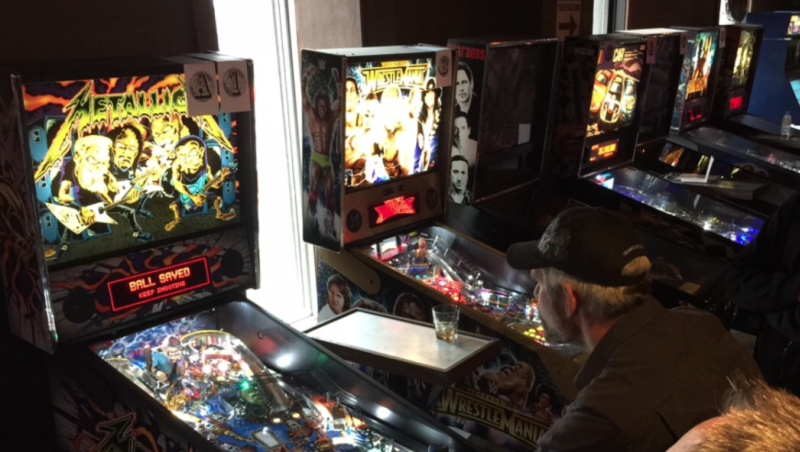 YEGPIN will strive to showcase the best pinball and arcade collections in the city and be able to provide you with three fun-filled days of playing pinball machines and arcade games. The event will also be hosting two IFPA (International Flipper Pinball Association) backed pinball tournaments which you will receive WPPR (World Pinball Player Rankings). This will be a great, friendly competition that is open to novice and advanced players alike. We offer trophies and prizes to the winners and to the grand prize winner his or her own pinball machine!!! As if that weren’t enough, we will have a space for a designated licensed area, and our games rooms will be open late on Friday and Saturday. For our guests who are volunteers, those that contribute game(s), or advance purchase a VIP weekend pass will be invited to a VIP party where food will be served, the lights go down and music is played and you can party and play on the machines till 1:00 AM on Friday night. There will also be special rates set up for hotel guests that want to come visit from out of town. See the hotel partners here. Pre-register for the YEGPIN and receive extra rewards or find out how get in FREE when you bring a game! T-shirts, tournament tickets, and other merchandise will be available for sale at the show. You can find details on the pricing for the event on our tickets page. There will be a silent auction for a chance to buy pinball and game room related items, different groups of merchandise will be put out on the Friday, Saturday, and Sunday with all proceeds going back to support this wonderful event. The show will conclude Sunday afternoon shortly after the winner of the Western Canadian Pinball championship has been determined. This show will draw people from all over Canada and beyond. Our goal is to have one of the largest shows in Canada and you have an opportunity to experience it first-hand in the great city of Edmonton. 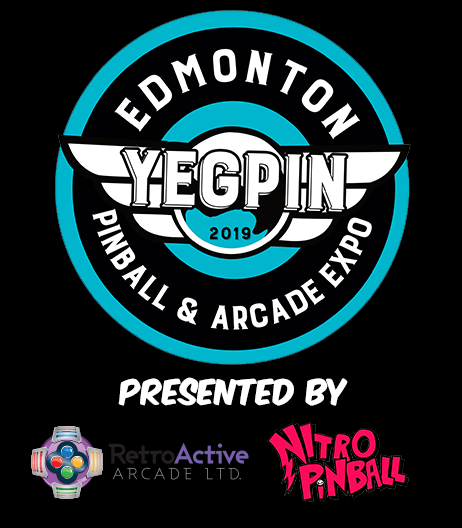 Come join us for the third annual YEGPIN – 2018 Edmonton Pinball and Arcade Expo. It’s going to be another great weekend!